The public exposure of “JT LeRoy” was one of the biggest literary scandals of the new millennium. In October 2005, New York magazine published an article alleging that the HIV-positive, transgendered literary sensation, who claimed that their sordid tales of truck-stop prostitutes and drug-addicted runaways were based on their own abusive childhood, didn’t actually exist. Then a few months later, The New York Times revealed that the person who had been appearing at book signings and red-carpet premieres as LeRoy was actually named Savannah Knoop, and “LeRoy’s” publicist ”Speedie” was actually a San Francisco housewife named Laura Albert, who was also—to complicate things further—the true author of LeRoy’s books. This tangled web of celebrity deception is chronicled in the new documentary Author: The JT Leroy Story, and The A.V. Club is giving our readers in Chicago the opportunity to see the movie on Thursday, September 15 at 7 p.m. at Landmark Century Centre Cinema (2828 N. Clark Street), the day before it opens in theaters. You can enter to win an admit two pass to the screening here. Remember, though—Advance screenings are often intentionally overbooked, so be sure to arrive early if you want to secure a seat. 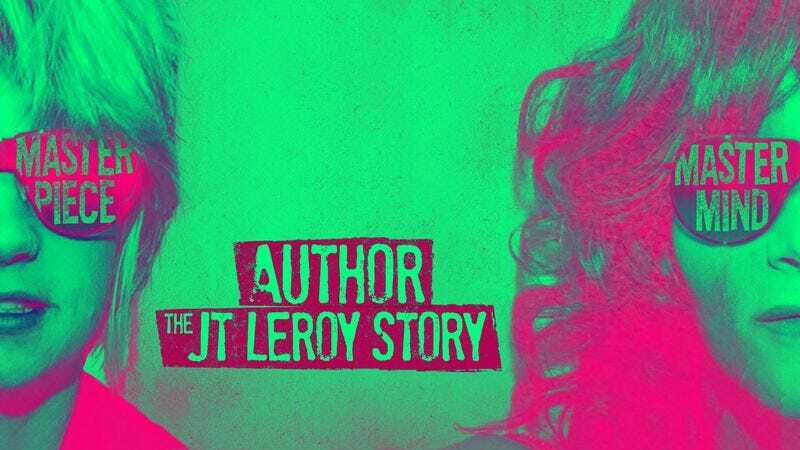 You can watch the trailer for Author: The JT Leroy Story below.